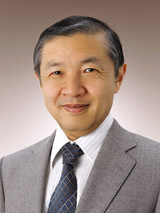 Since FMSP was launched in 2012, Professor Toshitake Kohno had been its coordinator before he was appointed the Dean of Graduate School of Mathematical Sciences. I succeeded him as the FMSP coordinator in April 2016. FMSP program is brought by the "Program for Leading Graduate Schools" by the Ministry of Education, Culture, Sports, Science and Technology which aims to advance the establishment of university graduate schools of the highest caliber by supporting the dramatic reform of their education programs in such a way that they will institute degree programs recognized as top quality around the world. To foster excellent students who are both highly creative and internationally attuned and who will play leading roles in the academic, industrial and governmental sectors across the globe, the program brings top ranking faculty and students together from both in and outside Japan and enlists participation from other sectors in its planning and execution, while creating continuity between master's and doctoral programs and implementing curricula that overarches fields of specialization. FMSP program was adopted by the "Program for Leading Graduate Schools" as a one-of-a-kind type program in October 2012. In FMSP program Research and educational achievement in mathematics and mathematical sciences are remarkably growing for more than three years since the start of the program. Accordingly, I am willing to follow predecessor's policy. In addition, with taking the interim evaluation and the requests from various quarters into account, we decided to enhance the course work "Frontier of Mathematical Sciences and Society". Although experience and intuition may be a valuable property, it doesn't seem enough on its own to survive as an industry in the complex modern society. Many industries are based on some sort of mathematics through the software. Many of the people in industry are willing to update old machines and devices they use, but nowadays only a small number of companies in Japan seem to try to innovate old mathematics they use. On the other hand, the idea of innovating mathematics which they are based on pervades in many Western countries, and a lot of researchers in mathematics are active in industry and government. In the course work "Frontier of Mathematical Sciences and Society", we have been giving lectures and addressing concrete tasks that appear in the industry and environmental issues from the perspective of mathematics and mathematical sciences. We will enhance this practice, and newly launch the activities such as "Colloquium on　Mathematics for Real World Problems" and "Mathematical Research on Real World Problems". Through these activities we aim to give occasion for FMSP students who are trained with state-of-the-art mathematics and mathematical sciences and have an ability to develop new theories in their papers to use their mathematical thinking to address the challenge to real world problems so that they are able to accumulate experiences of cross-industrial and cross-field exchange. For this purpose we take advantage of diverse features of the department of Mathematical Sciences, Physics, Earth and Planetary Science or the Kavli Institute for the Physics and Mathematics of the Universe (Kavli IPMU). In Japan, it has been late for a long time in recognizing the importance of introducing advanced mathematics and mathematical sciences to the various disciplines, industry and the government, and also less prepared to introduce it as compared to Western countries with the exception of a small number of pioneers. But in recent years, the importance has been recognized in various fields through the efforts of people involved in mathematics and mathematical sciences. We need to make this trend bigger under current circumstances. It may be difficult to understand the results of advanced mathematics and mathematical sciences and how to relate to the researchers for common people, and possibly even for the researchers in other fields of science in some cases. To recognize the significance and value of mathematical thinking which is a key in advanced mathematics, experience, education or training may be needed. We sincerely hope that under such circumstances the program will produce energetic persons who can take the leadership to build the foundation for delivering the good things from our country.